Ahh, I had such lofty intentions when I resurrected this site for Live Another Day. Kat and I were going to do weekly videos! I was going to write weekly episode summaries! Aaaaaand … it didn’t really happen. In my defense, I have had an incredibly busy summer as I work through home renovations in preparation to sell my condo. It was all I could do to keep up with watching and live tweeting the show every week. I’ll trot out the same excuse for why I had no idea for an entire month that the 24: Live Another Day Blu-Ray release on September 30 is going to include a 7-minute short film special feature in what the production company who worked on it described as a “bridge scene” and “story extension” revolving around Tony called 24: Solitary. As the name implies, Tony is exactly where we expected him to be — in the slammer. 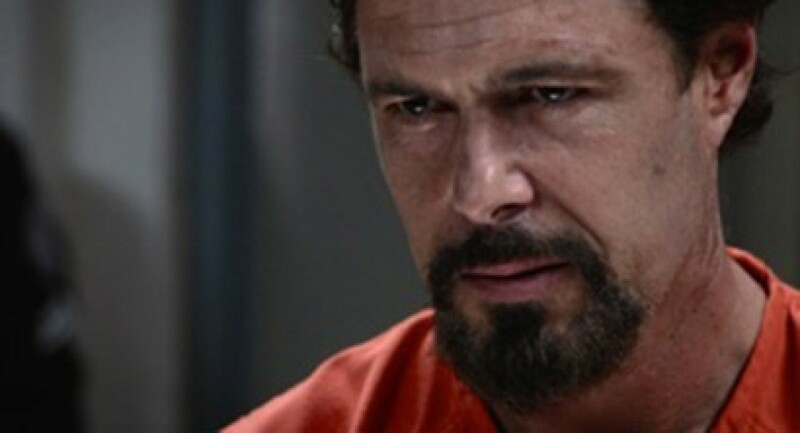 24 Spoilers has a screencap showing Tony in an orange jumpsuit, with long hair and what can only be described as Ultra Soulpatch Plus with Bonus Scruff. I just found out about this today (thanks to @Ryan_Chappelle for the heads up) and DAMN THAT’S AWESOME. I probably will buy the Blu-Ray release just because I’m a collector and my collection of 24 wouldn’t be complete without it, though I’m sure the footage will be on YouTube within an hour of stores opening on the East coast. Other characters in the short include a prison administrator and a US Attorney. Best case scenario, this scene is a lead in to a possible follow-up 24 installment featuring Tony prominently. I think I would probably wet myself with excitement to see the Jack/Tony dynamic in play again on my screen. The description of the short as a “bridge scene” revolving around interaction between Tony and a US Attorney lends credence to this idea — the obvious conclusion is that he’s cutting some kind of deal that will get him out of prison and back in the fray! The other possibility is the footage is meant to be concurrent with LAD and Tony is being questioned in relation to Jack’s reappearance, because no one knows Bauer like Almeida. In any case, I’m signficantly pumped for this. Expect an update next month when the footage hits the interwebz. For now, may Almeida be with you.